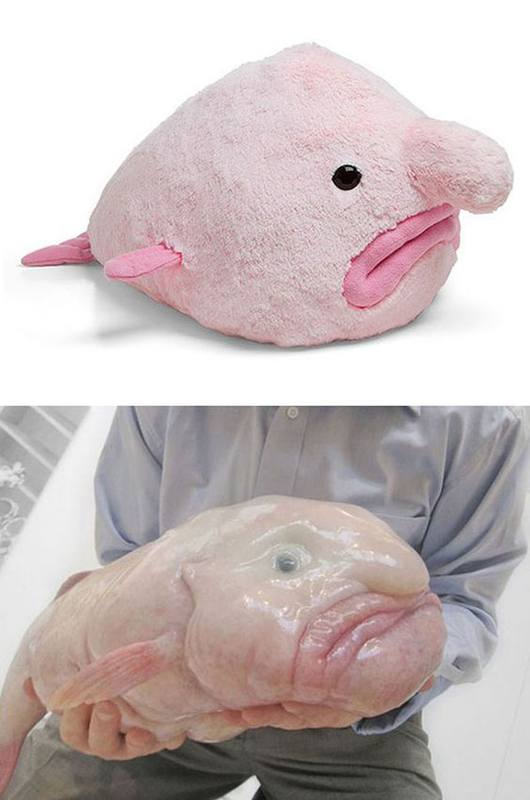 This awesome plush blobfish is a cuddly version of the real fish who lives deep in the ocean. You’ll love having this guy (gal?) lounging around on your sofa or bed. He’s super soft and squishy, unlike the real blobfish who is gelatinous and wet. In September 2013 the blobfish was voted the "World's Ugliest Animal" and adopted as the mascot of the Ugly Animal Preservation Society. 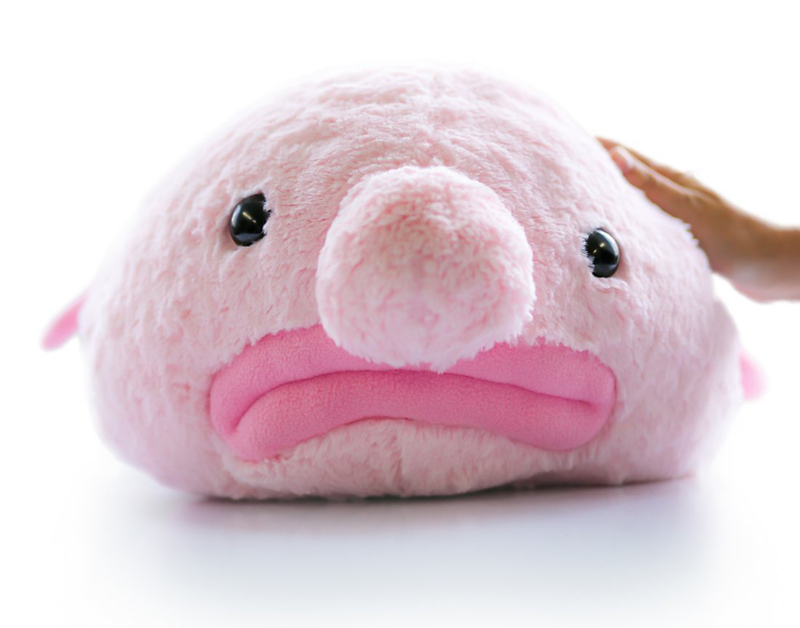 The plush blobfish is made with synthetic plush with polyester stuffing and hard plastic eyes. He’s considerably larger than the real blobfish at approximately 12” x 20” and he’s huggably soft.